I spent most of the afternoon yesterday obsessing about Cass Sunstein, whose views on just about everything from free speech to animal rights confuse the heck out of me on first glance. In general, that means it’s time to learn more. Advance copies of Sunstein’s new book, “On Rumors: How Falsehoods Spread, Why We Believe Them, What Can Be Done,” have gone out to reviewers ahead of its September publication date, but considering the prominence with which Sunstein is about to be endowed, his worrying views are fair game now. Sunstein is President Obama’s choice to head the White House Office of Information and Regulatory Affairs. It’s the bland titles that should scare you the most. 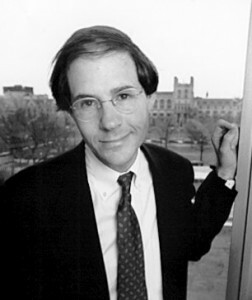 Sunstein was appointed, no doubt, off the success of “Nudge,” his previous book, which suggests that government ought to gently force people to be better human beings. Fascinating! I haven’t read Nudge , either (this is what happens when one’s book budget goes down the drain) but from what I know, Sunstein seems to enspouse a modified form of libertarian paternalism. The Post column has actually made me more interested in Sunstein’s work. Considering the press Pop SocSci authors like Malcolm Gladwell get, it seems to be not very well understood outside of law and behavioral economics. I guess I should stop ignoring the guy. Most brazen part of this: I have a copy of Cass Sunstein‘s 2007 book Worst Case Scenarios sitting right in front of me. 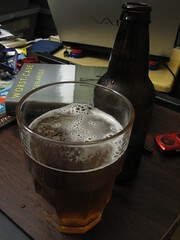 The beer is gone, but the book remains unfinished.